Back in October 2016, Microsoft started a new GitHub repository – ReportingServicesTools – an open source PowerShell module to manage SQL Server Reporting Services. 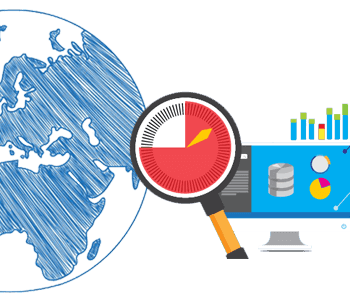 This project contains PowerShell scripts that allows you to perform various operations with SQL Server Reporting Services. This module, as of today, provides 28 commands that will help accomplish multiple tasks with less effort. Want to verify if all reports use the same data source? Need to backup your encryption key? Download or upload a bunch of reports and/or data sources? 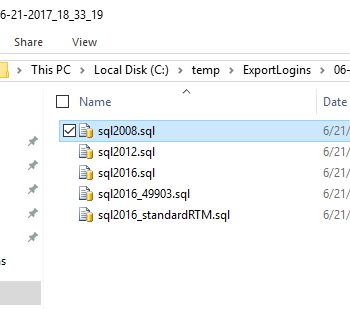 Aaron Nelson (t) has written quite a bit about this module but I haven’t worked with SQL Server Reporting Services enough to warrant using it. But now, I have received a request that took me a lot of time to do manually. I don’t like to do repetitive and tedious work (I call it “robot work”), specially manual work where it is more error prone. In this post I will share with you the request and how I have automated it saving a lot of time. Just to keep you interested, I went from 23 and a half minutes to 3 (your mileage may vary depending on the number of objects/actions that you need to do). We need to deploy a copy of the reports and data source to a new folder (“FolderB”). You should get the existing ones from the folder “FolderA” on the same server. Finally we need to change the data source for each report to match the new datasource pointing to database “dbRS” created on last step. We need to create a folder – no big deal! Copy reports from one folder to another – which means, download each report and then upload each one to the new folder. How many reports were in my scenario? 14! Change the data source for each report – how much time it takes times 14 or, in my case 10 because 4 of them does not have data source (one is used as footer and three as headers). Here we have two main tasks. Download and upload. Download: From my tests, download a single report takes about 10 seconds (remember we use the browser to download them). 10 seconds times 14 reports = 140 seconds. That’s an additional 2 minutes and 20 seconds. Upload: Click on “Upload file” -> Browse -> Select -> Ok (close browse window) -> Ok (will do the upload). This takes about 10 seconds times 14 reports = 140 seconds. Create from scratch, I will say 60 seconds if you have backed up the connection string somewhere else so you can copy & paste to be faster. Well, that will depend on how many environments you administer. In my case is at least 3! Which means that will be more than 20 minutes. And what if this is a common request for other applications? Do we want to repeat all the work again and again? The code you will need for each task. Don’t forget to change the values for each variable. 2. We need to deploy a copy of the reports and data source to a new folder (“FolderB”). You should get the existing ones from the folder “FolderA” on the same server. $newRSDSConnectionString = "Initial Catalog=dbRS; Data Source=instance"
4. Finally we need to change the data source for each report to match the new datasource pointing to database “dbRS” created in last step. Write-Output "Changed datasource $($dataSource.Name) set to $DataSourcePath on report $($_.Path) "
Write-Warning "Report $($_.Path) does not contain an datasource"
This one seems to be a little bit more complex mainly because there is not one command to do it all. We get all items of type Report inside our new folder $destinationFolderPath variable and for each item we will get its reference (using Get-RsItemReference command on line 3). Then if we have a $dataSource (remember that some rdl may not have a datasource) we will use the Set-RsDataSourceReference command to specify the new data source to each report. Here is the full script with all variables. You just need to change values of the variables according with your environment and test it. $newRSDSConnectionString = "Initial Catalog=Db1; Data Source=Server1"
$newRSDSCredential = Get-Credential -Message "Enter user credentials for data source"
I hope that you can leverage this script to accomplish your common tasks or at least use it to guide you through the a different task. Remember all the time you will save and the probability of error will come down drastically. Because I’m always improving my scripts, if you want to get the most recent version of the code you can download it from my GitHub repository. Looks great would like to try soon. Thanks Rupesh. If you do not mind, give me feedback when you have tried it. Hi Silva , I have a requirement of creating a Windows File share subscription using Power Shell?any suggestions? Hi Silva, we have the requirement to deploy power bi reports or dashboards. Are Power BI reports etc. supported by your scripts? Hi Klaus, no at that time the PowerBI stuff was not available. I encourage you to take a look on the most recent release v0.0.3.0 @ https://github.com/Microsoft/ReportingServicesTools/releases/tag/0.0.3.0 parthsha have contributed with some new commands that use the newly REST API! Hi Daniel, I was able to reproduce the problem. I encourage you to go to ReportingServicesTools GitHub repository (https://github.com/Microsoft/ReportingServicesTools) and open a new "Issue" explaining this. I or any other contributor will jump in, will grab the issue and fix it. Thanks. Hi there, I've tried this method to download report files from an SSRS server, but when I run the script, I get the following error: "Failed to establish proxy connection to http://localhost/Reports/ReportService2010.asmx : There was an error downloading 'http://localhost/Reports/ReportService2010.asmx'." Any idea what the issue could be?